I suppose the one that tells you what the cake actually is would be a good place to start. 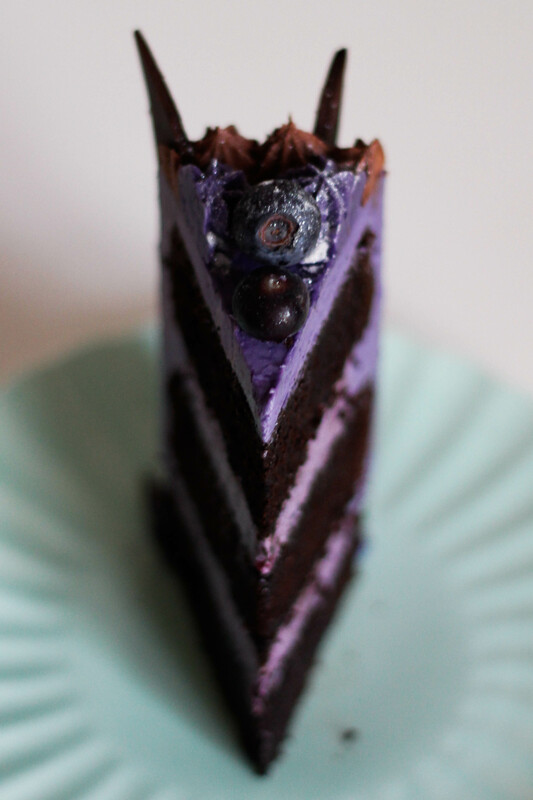 A deep, rich, velveteen chocolate cake filled with a tangy and sweet blueberry cream cheese filling, finished with a silky blueberry buttercream, crisp chocolate shards and an indulgent dark chocolate ganache. Sound like it might be up your alley? 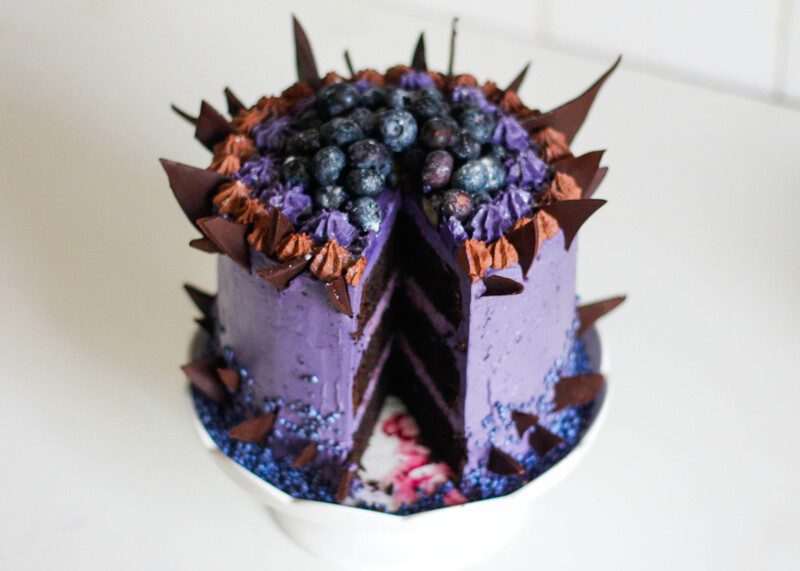 I made this cake for Halloween last year, which is where the ‘Vampire Cake’ came from. 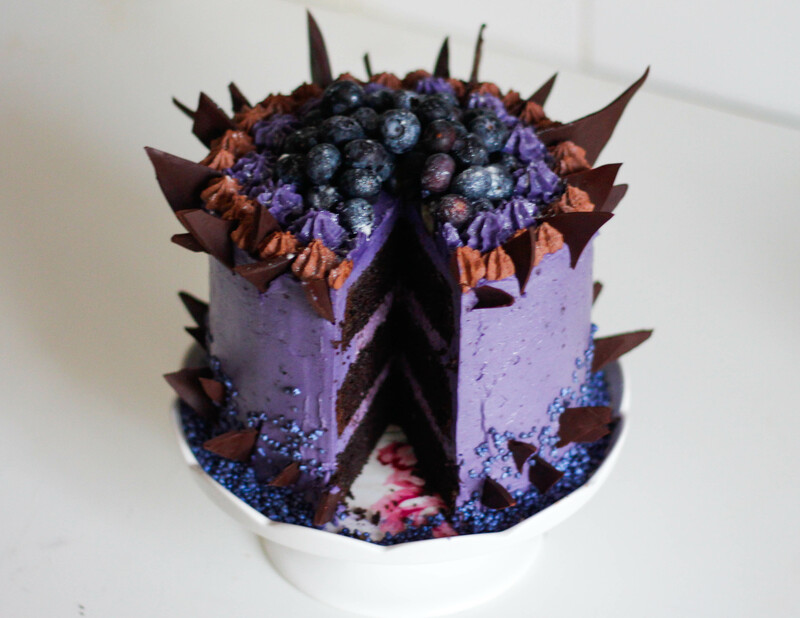 I made it for three friends and I’ll admit we actually made an embarrassingly good attempt at polishing it off… who needs candy when you have cake, right? 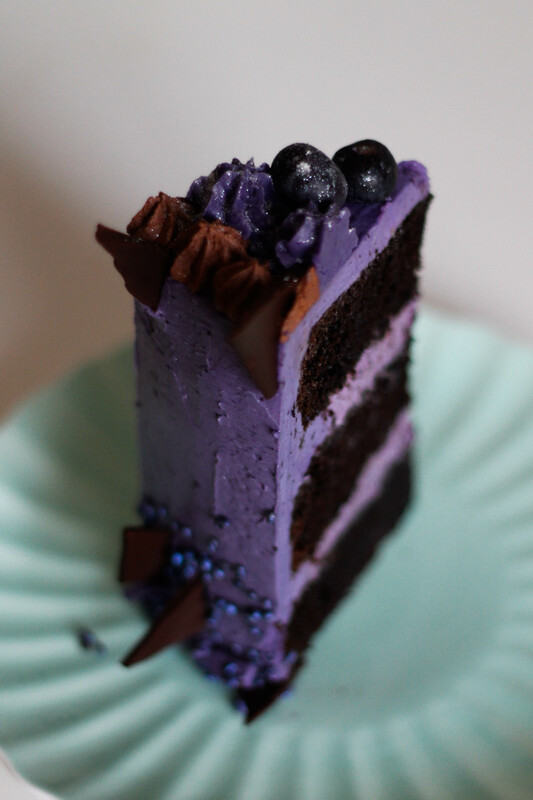 Scary movies, popcorn, three girls and a whole lotta chocolate cake… I suppose you can guess how that ended. 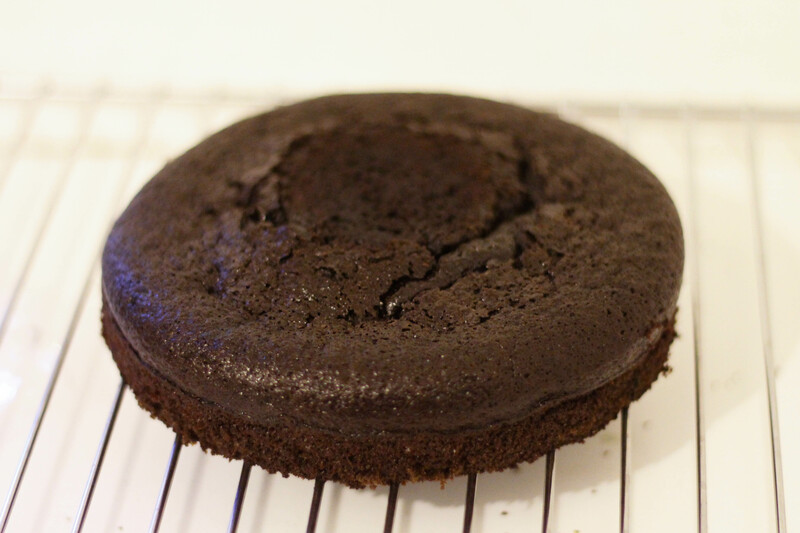 Preheat oven to 180°C/350° F/Gas Mark 4 and grease a 6″ (15cm) cake tin with butter. 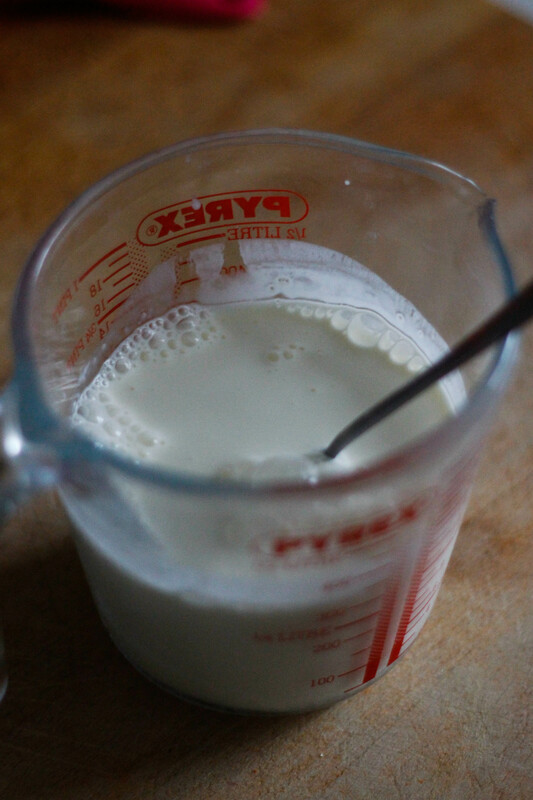 Combine the cream, 100ml water and the vinegar and set aside. 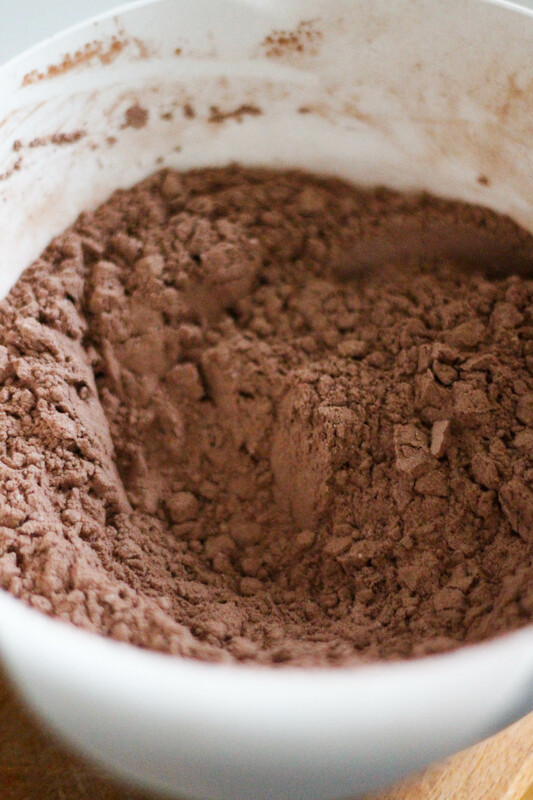 In a separate bowl, sift the cocoa powder, plain flour, baking powder and baking soda. 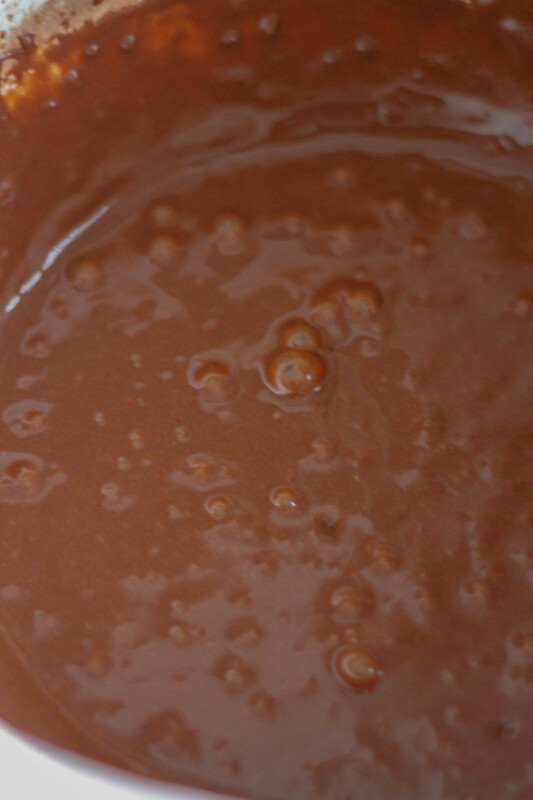 Add the salt to the dry ingredients, then stir the mixture until combined and set aside. 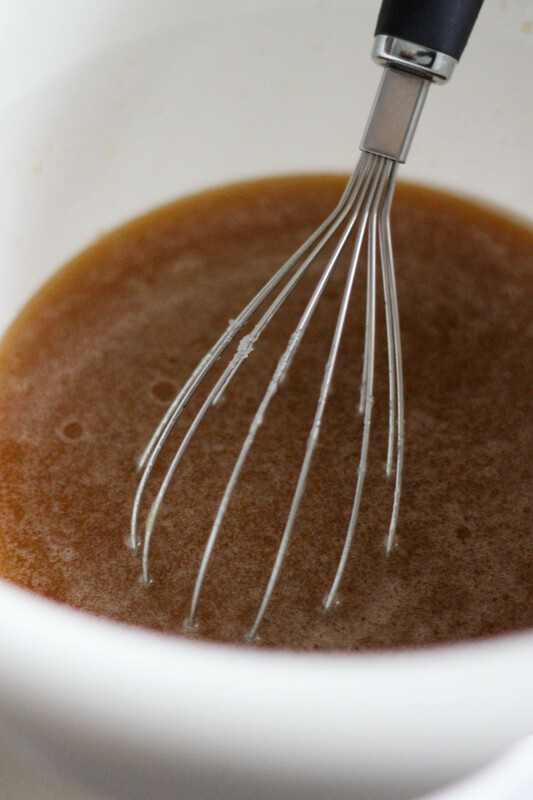 In a large bowl whisk together the sugar, oil and hot coffee, then add the eggs and the extra yolk. 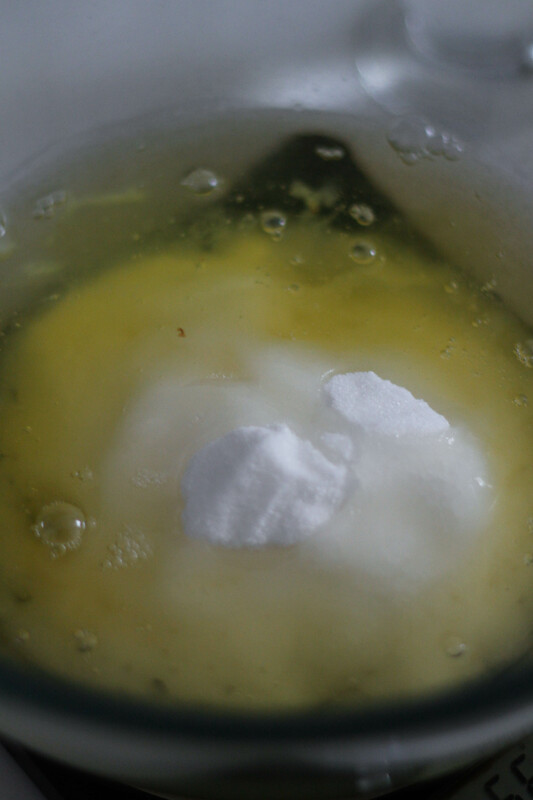 Add the dry ingredients to the oil and sugar mixture a third at a time, alternating with the cream. 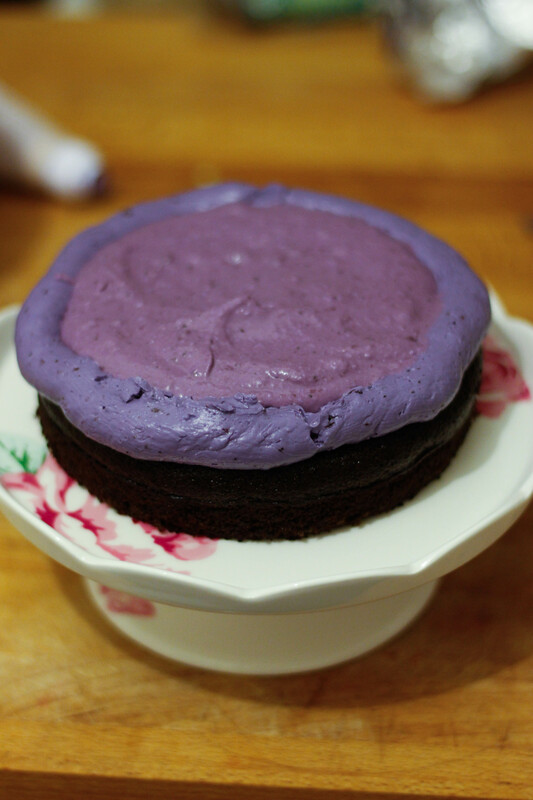 For a darker, midnight colour add some black food colouring. 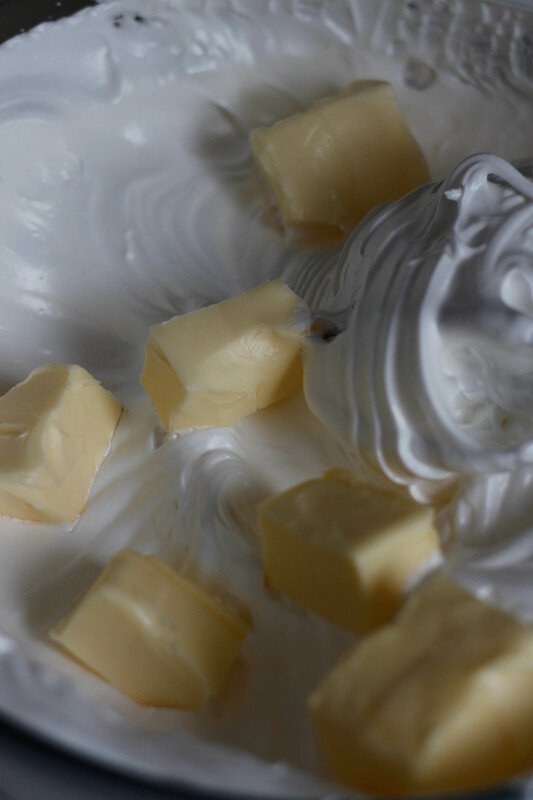 Divide the cake batter into three even batches then bake each layer for 35 – 40 minutes, or until a cake skewer comes out clean. 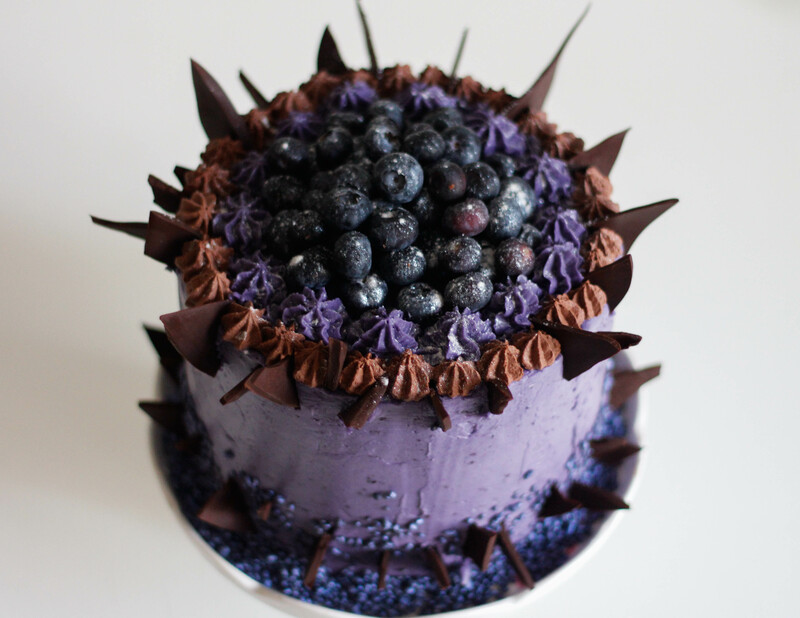 Set aside to cool, then level each layer with a knife or cake cutting wire if needed. 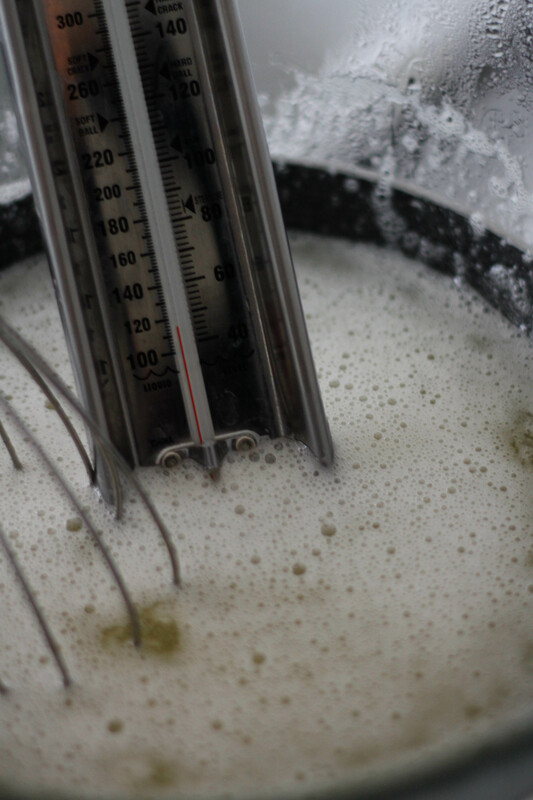 Place the egg whites and sugar in a clean, dry bowl and heat gently over a double boiler until temperature reaches 160 °F/71 °C on a candy thermometer . 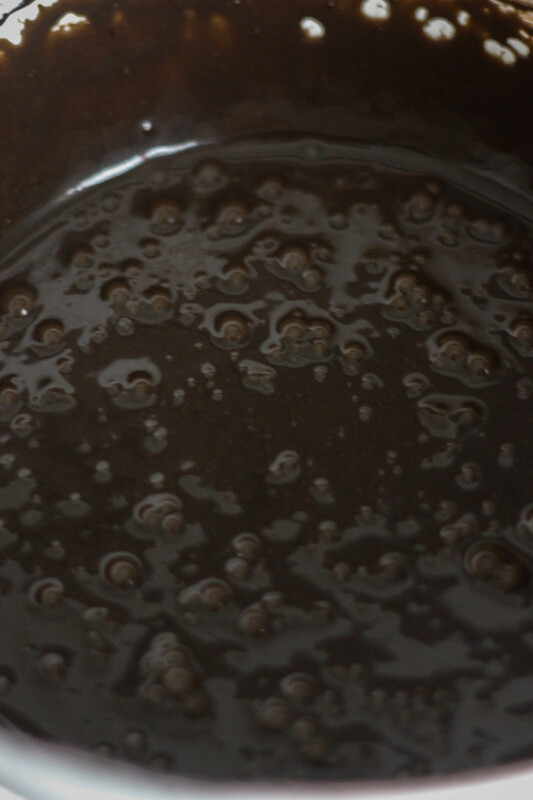 Stir lightly and continuously as the mixture heats. 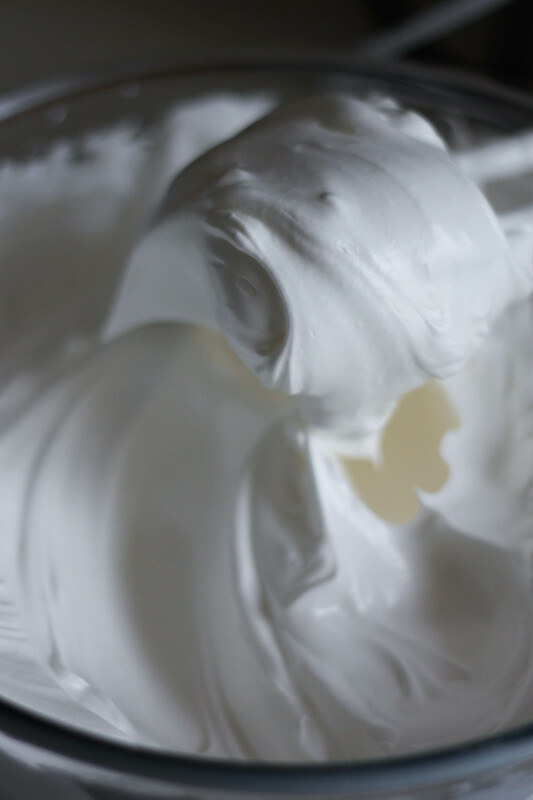 Remove the egg whites from the heat and start beating with an electric beater or whisk. 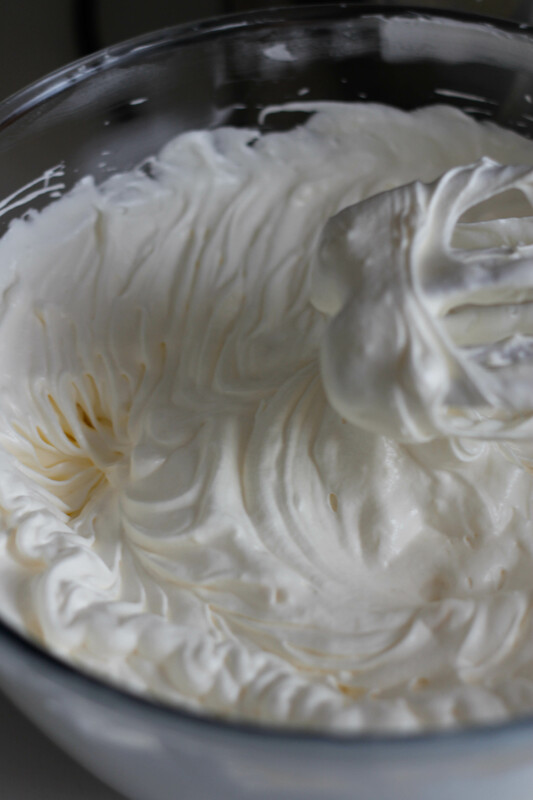 Continue to beat the egg whites until they are stiff and the bowl is cold to the touch (or back to room temperature). 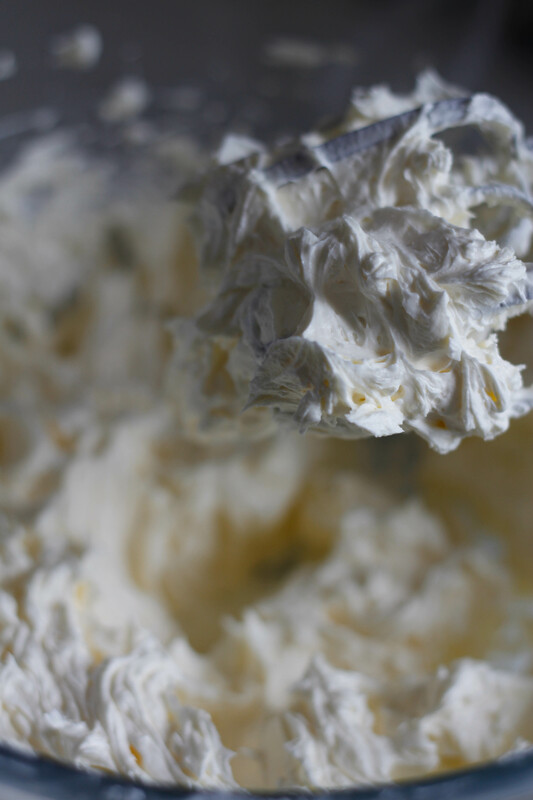 Take a third of the cubed butter and add to the egg whites. Add the next third of butter and beat until just incorporated, then add the rest of the butter. 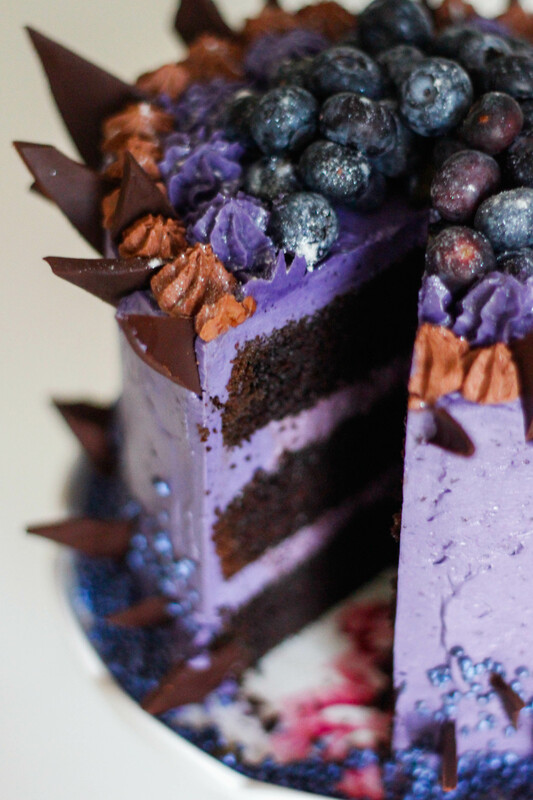 Continue to beat until frosting is smooth and creamy. 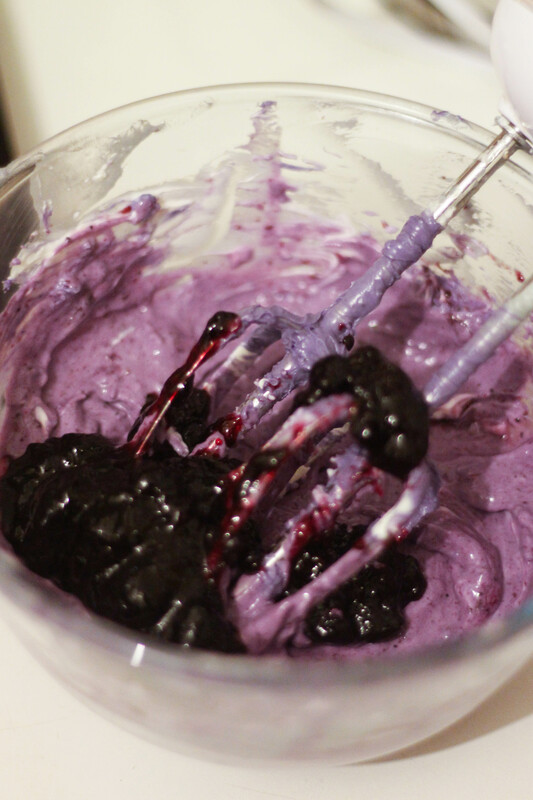 Add the blueberry jam and beat until incorporated, then add a few drops of deep purple food colouring if desired. 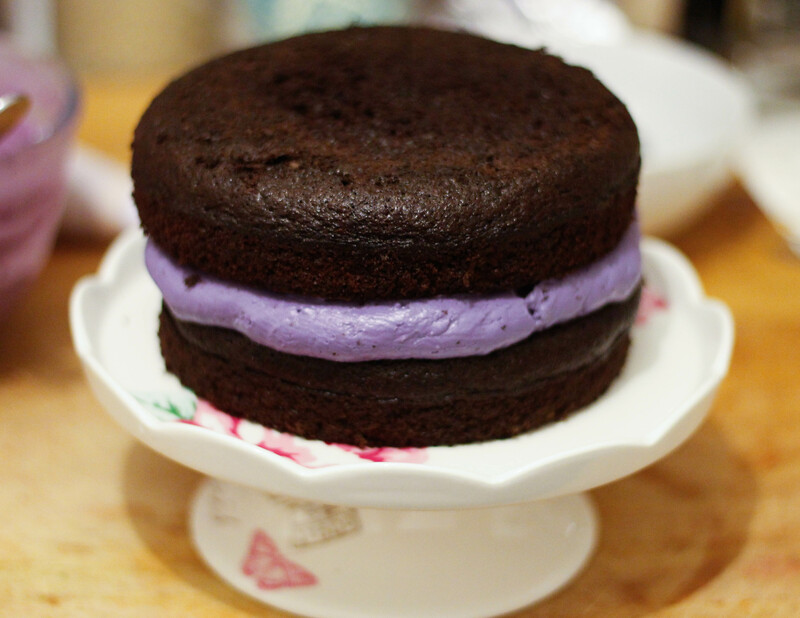 Briefly beat together the cream cheese and buttercream, then add the blueberry jam. Beat again until just combined. 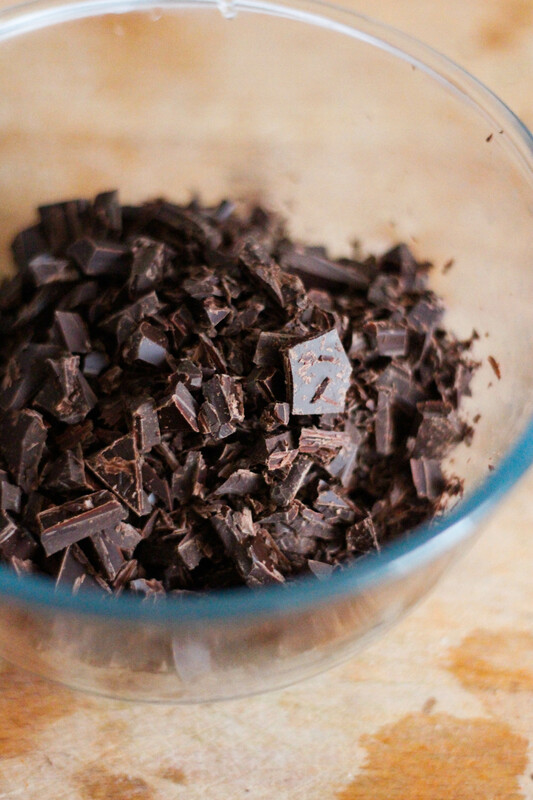 Chop the chocolate, then place it in a bowl and set aside. 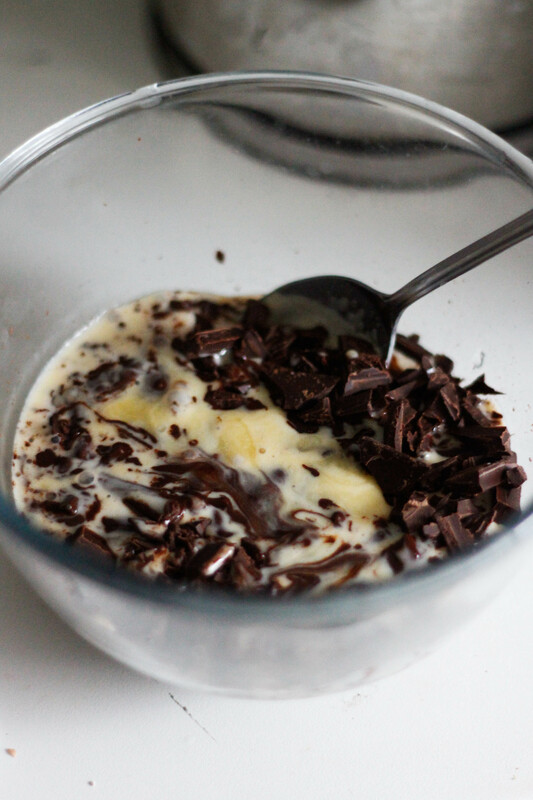 Gently heat the cream in a saucepan, then pour it over the chocolate and set aside to melt. 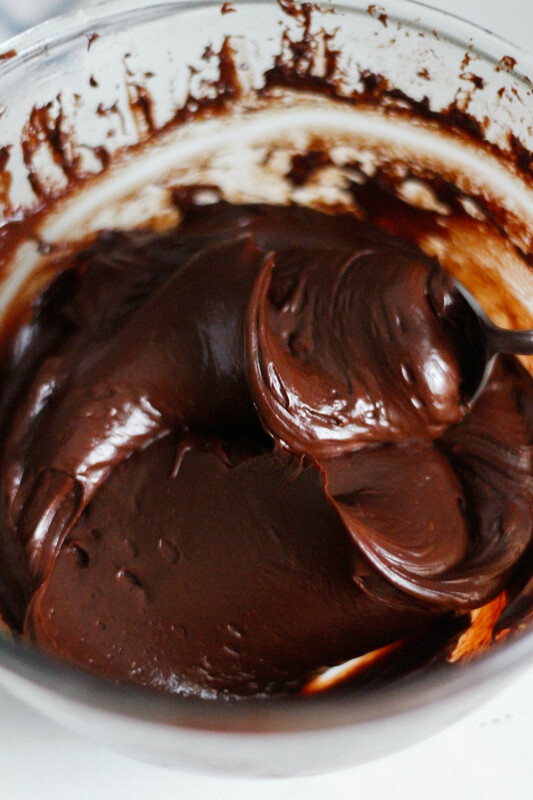 Stir the chocolate until smooth, then place in a piping bag and set aside for later. 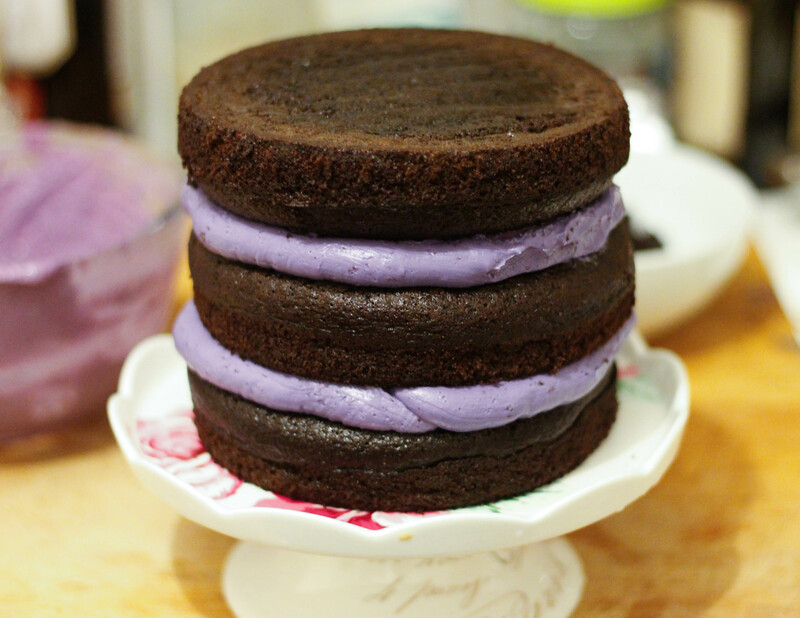 Place the first cake layer onto your cake stand or board, then pipe a border of buttercream around the outside – this will act as a dam for your filling. Add the filling and smooth it out to fill all the gaps. 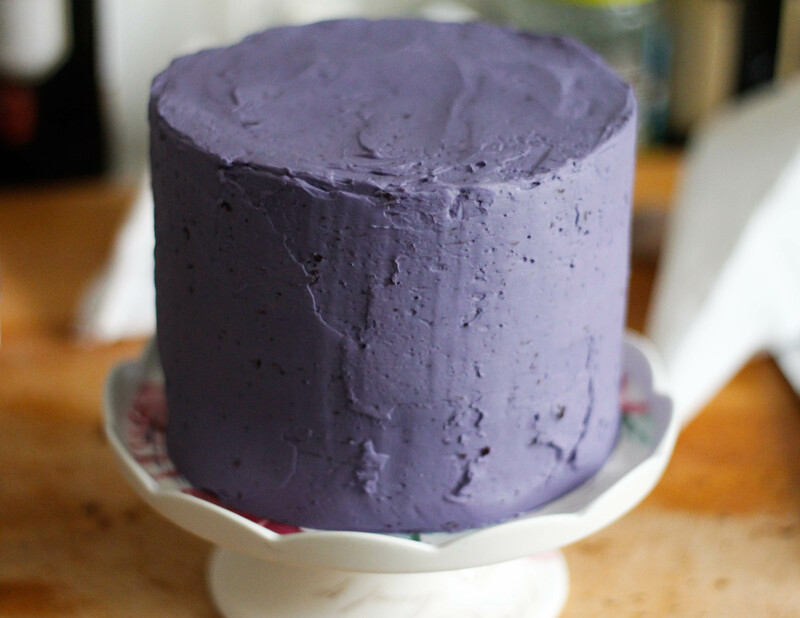 Place the next cake layer on top, then repeat the buttercream border and filling process before placing the final layer on top. Refrigerate for 20 minutes. 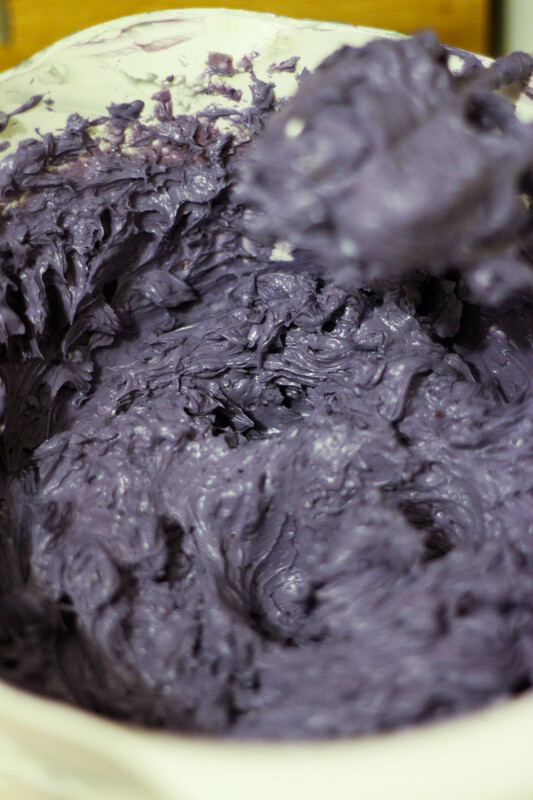 Crumb coat the cake with a thin layer of buttercream, then refrigerate again for a further 20 minutes. 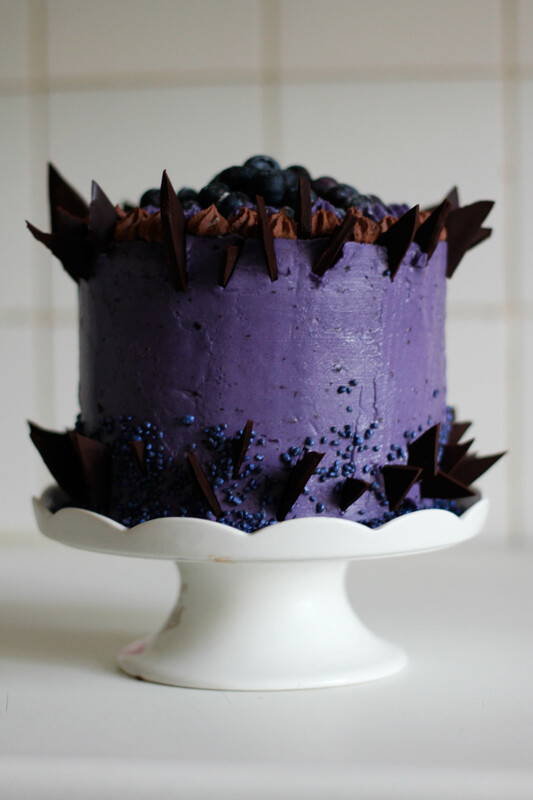 Take the cake from the fridge and coat in a final, thicker layer of buttercream, smoothing out the sides and edges with a palette knife . 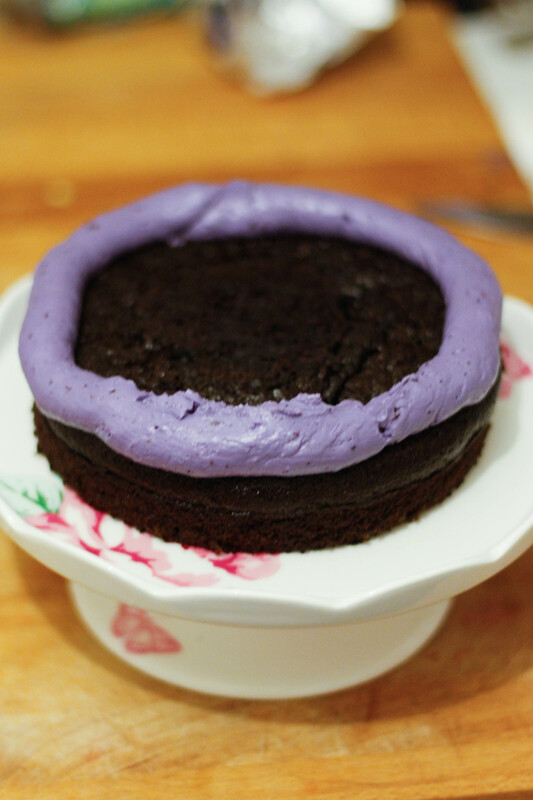 Pipe a border of ganache around the outside of the cake, then pipe an inner border of buttercream. 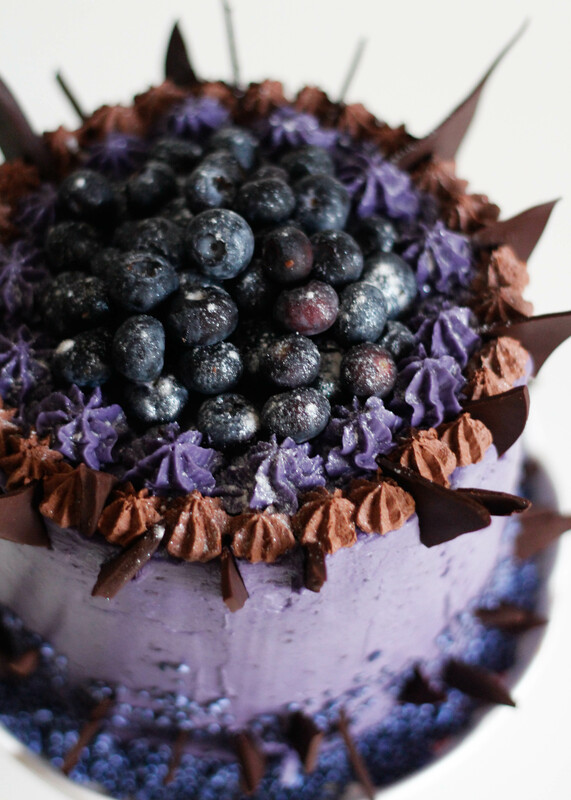 Fill the centre with fresh blueberries, decorate with chocolate shards and sprinkle with silver glitter.